Everywhere we went that trip, we ate delicious food. Dumplings and dim sum in Hong Kong…fresh salads in Thailand…condensed milk sweetened coffee everywhere. But amidst all the deliciousness, one dish made an impression like no other: char kuih kak. 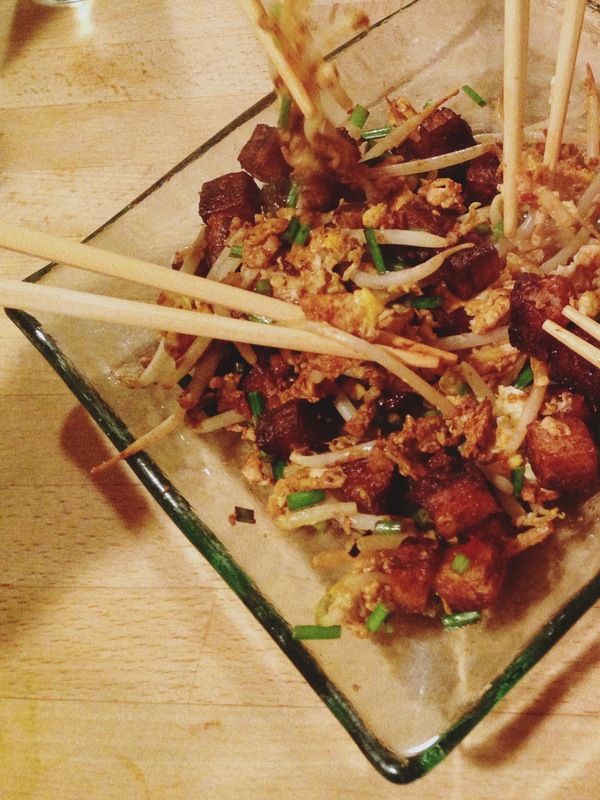 Stir-fried radish cake with bean sprouts, eggs, dark soy sauce, and a hearty amout of oil. 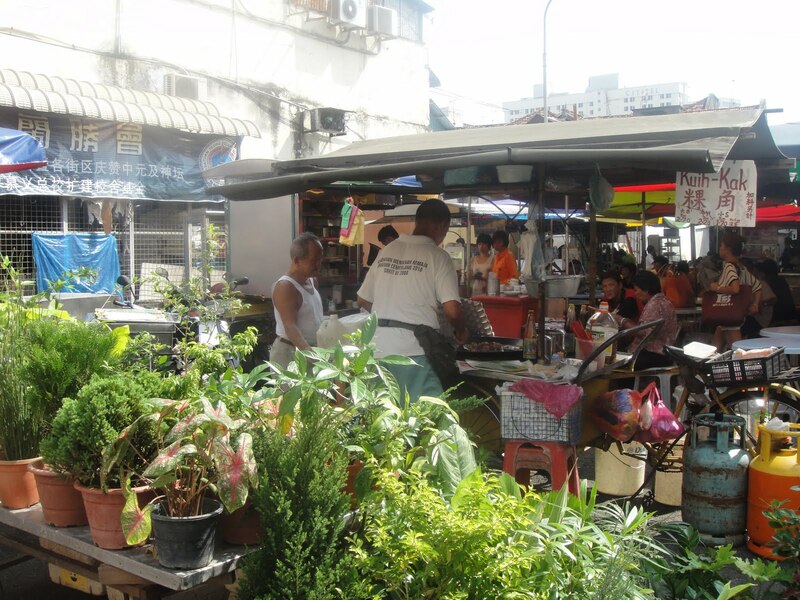 During our week on Penang island (Malaysia’s “foodie capital”), our days were organized around eating. We’d splurged on a fantastic place to stay; a renovated two-story house on Armenian Street. Each day, we would venture out for some food, then return home to relax and digest, before heading out again. 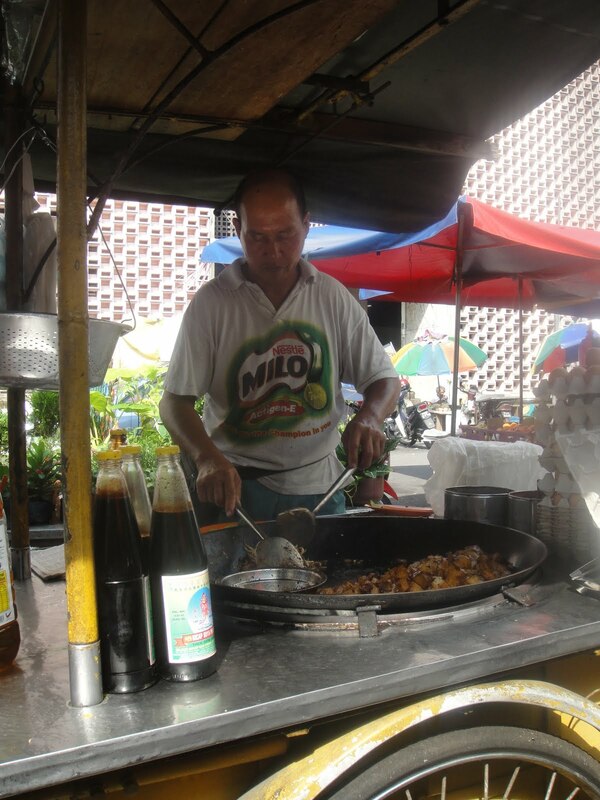 Using EatingAsia’s fantastic blog as our guide, we sought out every food Penang had to offer. Indian. Chinese. Malay. And more. Typically, I don’t like to eat the same food over and over again. I like to try new things. 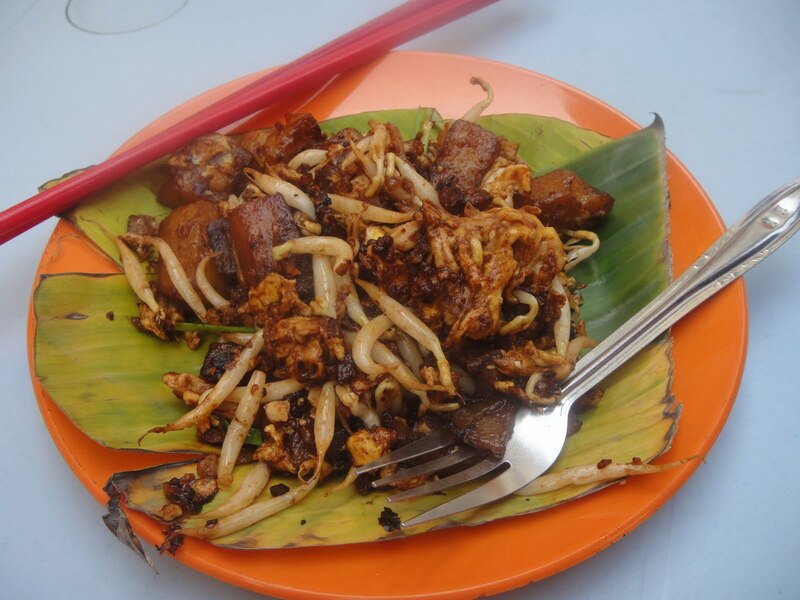 But once we’d hit up Chowrasta market and eaten char kuih kak, we were hooked. We probably went back once a day for our remaining time there. Before catching our ferry back to the mainland, we got up extra early for a final meal. I practically cried as we ate the last bite. I wasn’t sure if I would ever find the dish again. I hadn’t seen it in Singapore. And we were off to Thailand where food would be equally delicious but much less greasy. In the almost two years since we were in Penang, I’ve thought about char kuih kak at least weekly. It’s the ultimate comfort food. Good for any meal of the day, at any time of the year. When I was 9 months pregnant, I insisted we figure out how to make it. I procured the ingredients from Uwajimaya, and we went to work. We followed a recipe that had been posted on EatingAsia, but it didn’t produce the desired result. Too much soy? Who knows. It wasn’t right. So we tried again. And again. Until the radish cake ran out. We finally got something tastey, but not perfect. A few weeks later, I had a baby. Char kuih kak was not forgotten, but finding radish cake wasn’t at the top of my sleep-deprived to-do list. Last week, when Rachel was in town, she motivated me to finally find an Asian market in Denver. We found a fantastic one, actually much better than Uwajimaya (gasp!). They had fresh radish cake! So char kuih kak was a must. On Rachel and Rob’s last night here, we heated up the stove, chopped up the radish cake, poured some microbrews, and went to work. The recipe I’d used previous was no longer online, but it was a blessing in disguise. Using my memory as a guide, we were able to recreate the Penang magic. 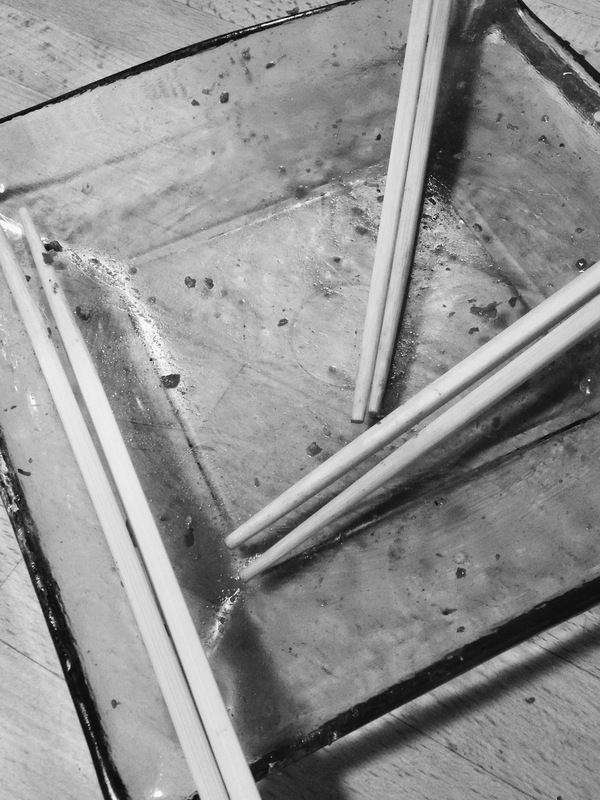 As each batch came off the stove, all four of us dove into the steamy, greasy goodness with our chopsticks. The night only deepened my love for char kuih kak. As far as I’m concerned, it’s not only the best Malaysian dish, it may very well be the world’s best dish. Needless to say, you should try it. The Asian ingredients you find might be in different amounts. Use the proportions below as a guide, but really you can tweak the amounts to your liking. I like a bit extra egg in mine, while others might enjoy more radish cake or bean sprouts. It’s up to you. 1. 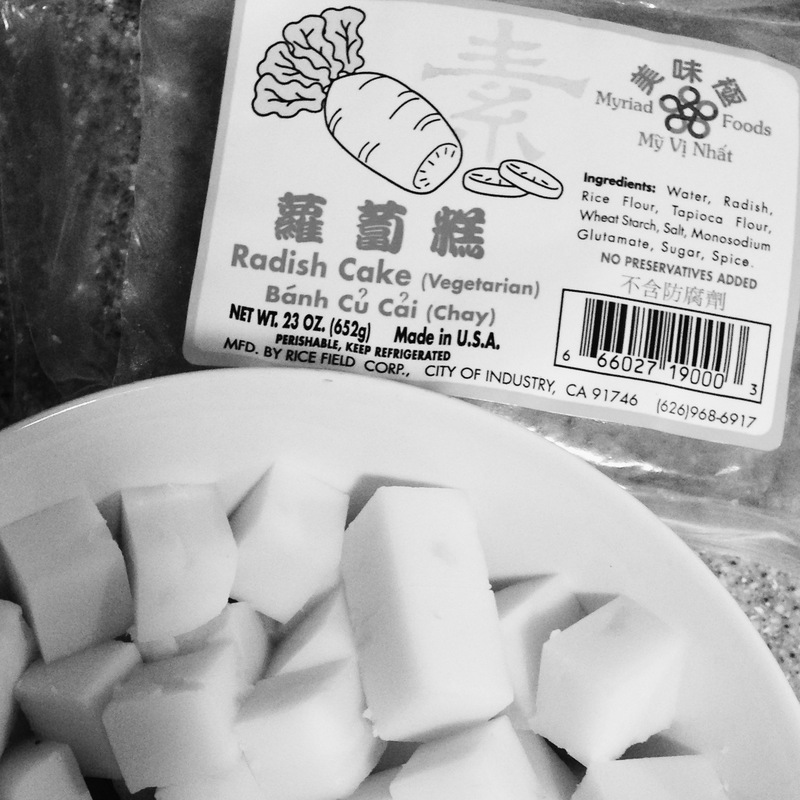 Cut radish cake into 1/2″ x 1/2″ cubes. 2. Heat 1 tablespoon of oil in a large, non-stick pan. 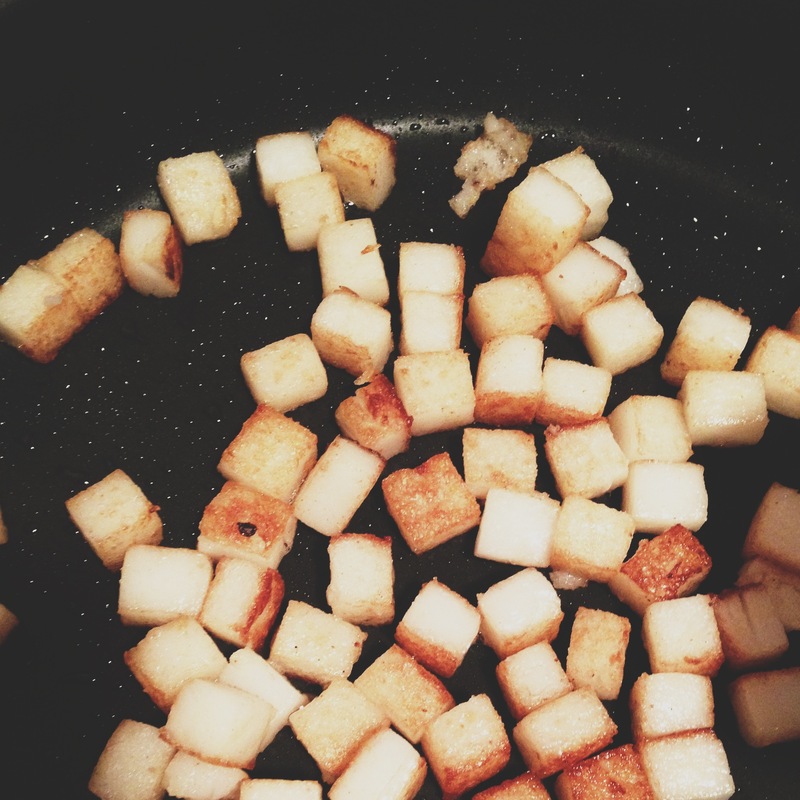 Once hot, add half of the radish cake cubes. 3. Stirfry cubes until most sides have browned. Stir or flip them only occasionally to get a good crunch on the sides. 4. Once the cubes are crisped in places, drizzle with 1 tablespoon dark soy sauce, and 1-2 teaspoons sambal olek, depending on the desired spicyness. Toss to coat. 5. Move cubes to the side of pan. Adding a tad more oil if needed, pour in the two eggs and scramble them using a spatula or spoon. 6. 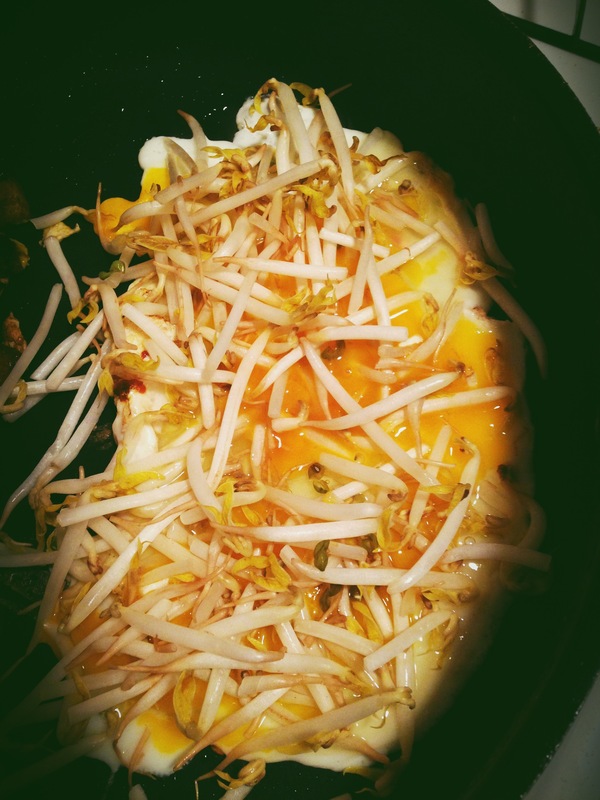 Once the eggs are almost done, add approximately 4oz bean sprouts and toss until combined. 7. Mix egg and sprouts with the radish cake in pan, tossing until well incorporated. Add an additional 1 teaspoon dark soy sauce to coat the entire mixture. 8. Sprinkle with chives, if desired, and eat immediately! 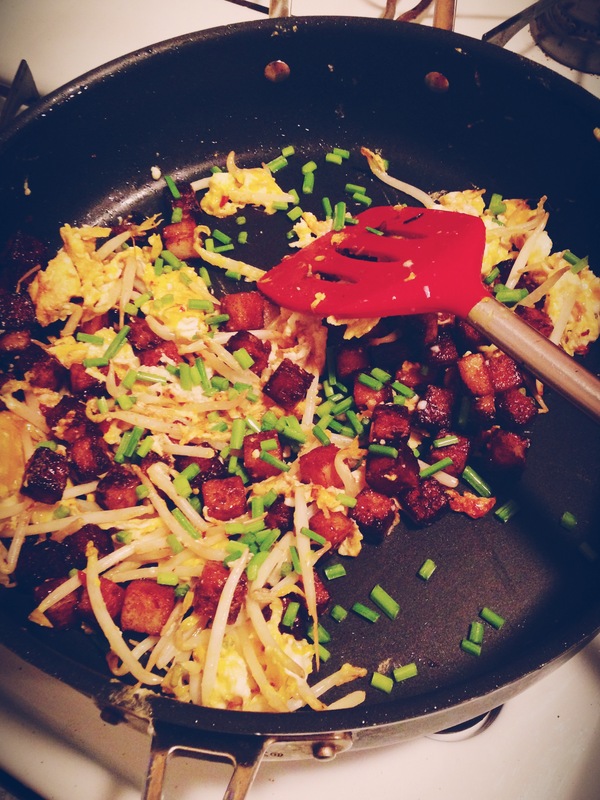 Repeat with the remaining radish cake, eggs, and bean sprouts.